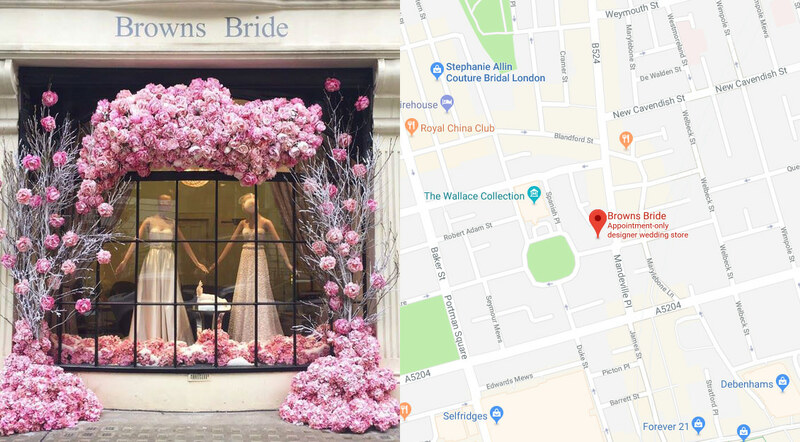 At Browns Bride we strive to give you a warm welcome and hope to put you at ease offering a bridal experience that is second to none for service, intimacy and style. Your appointment will take approximately one hour. During that time we will discuss your needs and take down details of your wedding and any thoughts you may have about the type of dress, shoes or accessories that you are looking for. We will then take you through our collection and help you try the dresses on. Do feel free to bring a close friend/family member or two whose opinion you value, however any more than three people is not advisable. 12 HINDE STREET, LONDON. W1U 3BE. By appointment – we charge a consultation fee of £30 which is fully redeemable against the purchase of a gown. There is no charge to pop in and browse our shoes, accessories and veils and we are always more than happy to give you a quick tour of the store.